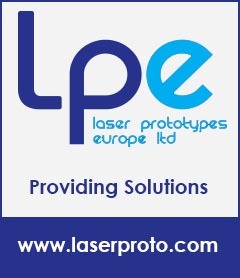 Comments Off on US Army sends Rapid Prototyping labs to the front line. US Army sends Rapid Prototyping labs to the front line. While Spark Truck has been bringing 3d Printers to schools across the US, the Rapid Equipping Force (REF) division of the US Army, tasked with ensuring soldiers are equipped with the latest and greatest kit, has begun sending Rapid Prototyping technology to the front line in Afghanistan. The REF consists of a team of scientists and engineers who work to ensure any hardware bugs are ironed our as quickly as possible. With the REF team based in the US lead times are stretched for the development and deployment of solutions to any unexpected equipment errors. Scientists and engineers must first fly over to the soldiers to discuss their requirements. Once the problem is identified the team must return to the US to develop the new prototypes, which in turn are shipped to the soldiers. Built out of a 20 foot shipping container each Expeditionary Lab is expected to remedy this time delay, allowing prototypes to be produced within a couple of hours. Each lab has been kitted out with all the tools required to modify and create tools and weapons in the battle field. Costing $2.8 million per unit each lab contains a state of the art 3D printer, industrial CNC equipment and a satellite link not to mention a whole host of engineering equipment. With its own electricity generator and internal air conditioning / heating system each unit is entire independent of its local environment ensuring it can be placed anywhere. To date three such labs have been created with the first currently in place at the Royal Command South near Kandahar, the second scheduled for deployment at Royal Command East later this year and the third lab is to be kept within the US and used in the event of a natural disaster. At the end of each mission the lab can be simply be trucked or lifted to its next destination. 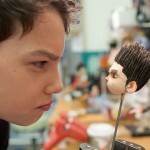 Comments Off on ParaNorman takes 3D printing for film one step further. 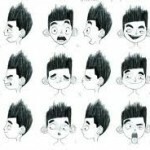 ParaNorman takes 3D printing for film one step further. In 2009 stop motion animation Coraline introduced the world to 3D printed stop motion character models, offering unparalleled levels of detailing to both character expressions and film backdrops, above all 3D printing allowed stop motion animations to finally hold their own in a CGI dominated market. Next Friday (14/09/12) the latest instalment from the 40 man team at Laika, ParaNorman, hits cinema screens across the UK and Ireland. When creating Coraline 3d printing allowed the team at Laika to create some 200,000 possible facial expressions for the films leading character resulting in greater emotional range and smoother lip syncing, in comparison with the 800 lead character facial expressions created painstakingly by hand by the artists behind The Nightmare before Christmas in 1993. During the creation of Coraline 3D colour printing was still in its infancy and as a result the team had to handpaint each of the 200,000 possible facial expressions, a challenging task as each of Coraline’s freckles had to be painted on exactly the same spots. By 2010 3d printing had reached the stage where objects could be coloured in on the computer and then printed in colour. 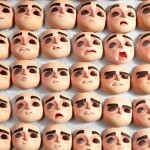 Having had considerable success with 3d printing puppet faces for Coraline the team at Laika were eager build on this success with the incorporation of 3D colour printing into the production of ParaNorman. Speaking on the project Brian McLean director of Rapid Prototyping at Laika commented on a number of early production issues including problems achieving consistency in colours. The team overcame this by carrying out thousands of tests in order to figure out the best file formats and colour profiles to send to the printer. To overcome the chalky consistancy of the printed faces the team had to find and follow an exact process for dipping the parts in super glue, sanding and then baking the parts in an oven at specific temperatures and times in order to achieve different effects. All of which required completion within just 3 months. Thanks to the latest 3d printing technology ParaNorman exceeds all expectations with some 88,00 faces and 1.5 million expressions for the lead character alone. The colour printer also provided some unexpected benefits. The printer injects colour 16th of an inch into the face rather than on the surface allowing for subsurface scattering, while the silicon material is similar to skin allowing gentle reflection and absorption of light. This translucency and vibrancy have allowed the team to achieve a kind of translucency to Normans ears which closely matches real human ears. 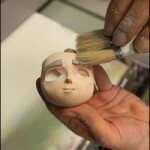 Why not catch ParaNorman in cinemas next week and see how 3d printing has evolved.